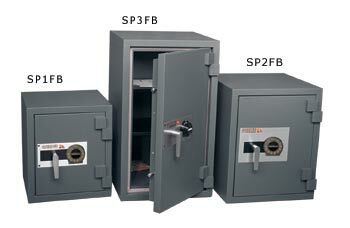 The most secure and reassuring protection for all your documents now available in Toronto. For many years, Gardex safes and filing cabinets have been keeping millions of contracts, stocks, receivables and other irreplaceable documents from going up in smoke. Through every kind of fire, explosion, and high fall, Gardex products have proven their worth. Better than an insurance policy - which can never replace valuable records - Gardex safes and filing cabinets offer the guarantee of complete security, for absolute peace of mind. Meters (30 Feet) fall onto a hard cement surface followed by a 30 minutes exposure to intense heat were conclusive: contents always remained intact. Clearly, Gardex can guarantee you the best possible fire protection for all your valuable documents and belongings.